Major Mackenzie Drive East and Markham Road has become an increasingly important area of Markham in the recent years. With an increasing number of new houses being built, it was recognized that commercial allocation within this area would not only become necessary but would serve to create a more integrated and complete community. 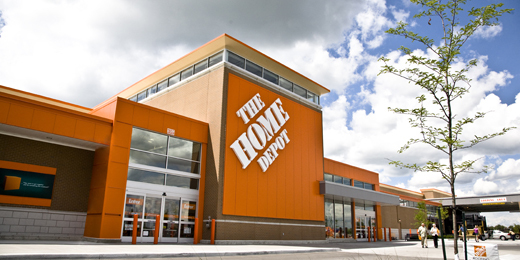 Recognizing that there was a gap in commercial and service retail uses, MHBC was able to work diligently and in a cooperative manner with the Town of Markham, members of the community and the owner of the remaining retail complex to introduce a new format Home Depot store as a major anchor to this site. 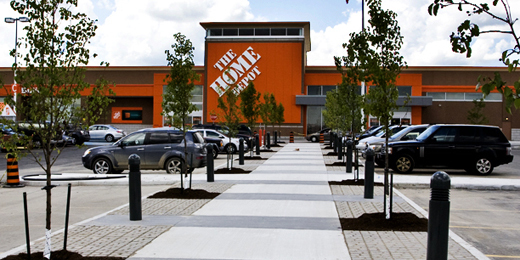 The new visual aesthetics of the Home Depot Store coupled with pedestrian connections, accessorized with trees and lighted bollards throughout the site, has not only set a new benchmark in traditional “Big Box” retail design, but it has undoubtedly become a catalyst for future development and consumer activity in the area.